This essay is written as a reflection upon Frank S. Meyer’s 1965 What Is Conservatism? Half a century later, we feel the same tension between libertarianism and traditionalism. But what does that mean in our globalized and multicultural world of narratives? He who surrenders himself without reservation to the temporal claims of a nation, or a party, or a class is rendering to Caesar that which, of all things, most emphatically belongs to God Himself. ~ C. S. Lewis. This Labor Day weekend found me in New York for a wedding of my mother’s cousin. I came away with some new snippets of family history – particularly one of a great-great uncle, or so I suppose is his relation. He came to America in 1904, I think it was, and just as I write this, I realize he must have come on a ship. He studied at Ann Arbor and then rose in ranks at General Motors, and then he went back home to India having seen America. A century later, we might open up What Is Conservatism? and assume not without cause that Frank S. Meyer’s summation of the common core and the common tradition of Traditionalist Conservatism and Classical Liberalism is an attempt to remedy the fractures in today’s conservative movement. On college campuses, the fault between Libertarians and Republicans is trembling, and may widen into a rift without recourse. And yet as we move from the theoretical to the political, the implications of the book, especially of traditionalism, are pivotal. The rise of Donald Trump has made a mockery of the crowd that calls itself conservative, while a self-righteous progressivism on college campuses is the unquestioned church of the disaffected. Across American campuses and indeed a globalized world, liberalism has become a synonym of progressivism. It is seen as the humanitarian way, the educated way. Your grandparents might vote Republican, the homophobes, xenophobes, the Islamophobes, the bigots, the right-wing nut-jobs. Youth is revolt, and the movement promises an enemy to revolt against. The only legacy worth leaving in a #YOLO world is how much you changed the world. But isn’t the world already moving so very fast on its own? Globalization seems to be the greatest force that conservatism will have to reconcile itself with. Will ever another man have a journey like my great-great uncle? Will we stay true to an Anglo-American tradition, or by then will the world have come under the sway of an artificial homogeneous counterculture? If we might paint with a broad brush, then it is perhaps justifiable to see two traditions stemming from two great European colonial powers playing out in the world, increasingly overlapping. The one is our beloved Anglo-American tradition, the Old Whig belief in the sanctity of the Natural Rights of the individual and of a received Divine Order. The other is the perversions of the French Revolution and its cries of égalité. The intertwined intellectual history of France and Russia – during the Enlightenment the Russian aristocracy was more fluent in the French than in the Russian – might explain why such perversions of the Revolution took hold in the Soviet Union and in Red China. The Anglophone world was the beacon of a freedom and a promise altogether unrivaled by the rest of the world. In the spirit of the Constitution, Philadelphia had approximated better than anyone ever will the self-evident Rights that we are endowed by our Creator. The authority for such a civilization, which from the very beginning called itself the City Upon a Hill, came from the Divine, and not from the rule of the mob. The government did not grant rights. The government upheld Rights. We owe the establishment of this City Upon a Hill to a long legacy that Frederick A. Hayek traces back to the Old Whigs of Britain. It follows that “in the United States it is still possible to defend individual liberty by defending long-established institutions” (Meyer 105). Why, then, was it so difficult to define conservatism in his time? Throughout What Is Conservatism? there is a pervasive feeling that conservatism is a “rag-tag army” of conflicting and often opposing sides, while liberalism is a principled and consolidated force. William F. Buckley, Jr. confesses in Notes Towards an Empirical Definition of Conservatism that “I know who is a conservative less surely than I know who is a Liberal.” He explains that “under the stress of our times,” conservatives had had to “invite all kinds of people into their ranks, to help with the job at hand … a radical, or merely a noisemaker, or pyrotechnician, since our rag-tag army sometimes moves together in surprising uniformity…” (Buckley 212) The sentiment that conservatism lacked a coherent ideology is echoed by Stephen J. Tonsor in The Conservative Search for Identity, wherein he affords his Liberal friends their due, for “Liberalism is a body of coherent doctrine, deductively derived from a set of central propositions, while conservatism is a synthesis of contradictory principles, the principle of authority and the principle of freedom” (Tonsor 134). In this sense democracy and unlimited government are connected. But it is not democracy but unlimited government that is objectionable. Alexis de Tocqueville and Lord Acton, whose lives together “spanned the nineteenth century” were responsible for the reconciliation of authority and freedom, the anticipation of “the modern world with all of its problems” (Tonsor 136). These two contemplative conservatives (we ought to call them so) contended with an American scene ravaged by the Civil War and within it the seeds of nihilism – “the era of nihilism and the totally absurd begins with a doubt as to the nature and purposes of God in history” (Tonsor 136). So their purpose, as early as the nineteenth century, became to escape from absurdity by the “restoration of meaning to history”, and this was only possible by “restoring Providence” (Tonsor 136). Globalization has rendered this task absurdly difficult. To which history should we restore meaning? The history of our world is no longer told the way that Traditionalist Conservatives will tell it. It is no longer told the way I did, as a rivalry between the Anglo-American and French traditions. The history of America is now told, as it ought to be, in fairness, as a history of a multitude of narratives. We are all immigrants, we learn, and no one narrative has a claim to the land. The charge is no longer to find inspiration for the Bill of Rights in the Philadelphia Constitution, as Willmoore Kendall seeks to do, but to find inspiration for the Bill of Rights in the Iroquois Constitution (as unfounded as the latter might be). Such is the unstoppable force of globalization, a recognition of the world as individual narratives that is very much justified. It is no wonder that libertarians, with their focus on the liberty of the individual as the “highest good”, more readily accept and even welcome such a change in the affairs of the world. Libertarians, true to their principles, welcome all into the fold of America, because they do not seek to protect an Anglo-American tradition. They do not feel the need to educate immigrants on what it means to be American to ensure a continuation of the American tradition. And so, especially in the wake of the politics surrounding the refugee crisis and immigration, that libertarians are becoming disaffected with the Republican Party. Minorities are more than ever aligning with socialist causes. Muslim Americans, who share in the American foundations of God and family and voted consistently Republican only a decade ago, are now swallowed up by the promises of a wholly un-American utilitarianism. The Republican Party, which has been a bastion for traditionalism and the inviolability of the individual, is floundering. I do see the appeal of reversing this trend toward globalization, and ethno-nationalism does hold a romanticism, but it is not sustainable. Inertia is against such idealism. The conservative movement needs both its Classical Liberal and Traditionalist Conservative factions to align once more. 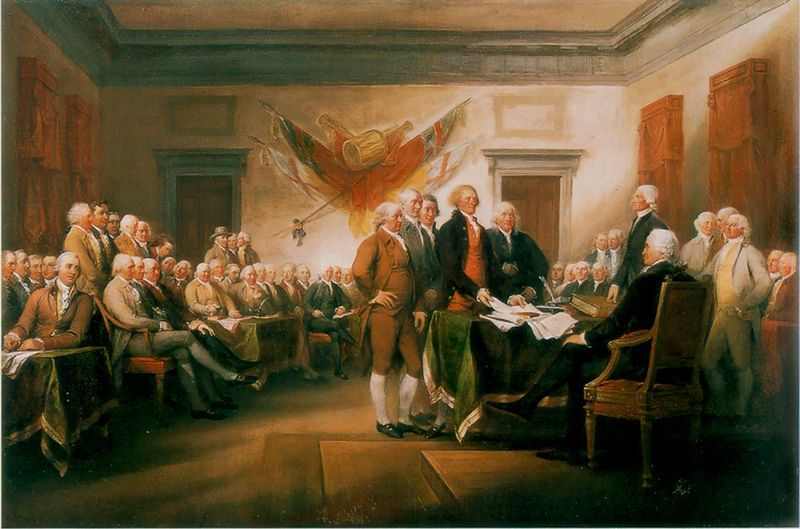 We must remember the Natural Law and Divine Providence upon which this country was founded. Yet how do we remember such ideals, such Christian and Hellenic ideals, in these times of multiculturalism and globalization? That, as I contended at the outset of this essay, is the most pertinent dilemma facing us today as the conservative movement. In my time serving as the Editor-in-Chief of The Michigan Review, I must say that the resolution to this dilemma is essential to keeping conservatism alive in future generations. The thirst for social justice seeks to regulate without end the free enterprise that it equates with greed. In a filmed campus survey of the Michigan primaries that we broadcast on our YouTube channel, I asked students if they thought that Uber should be regulated as a taxi company. The unanimous answer, albeit among the few that I asked, was that it certainly should be. “I want my boot on the throat of private enterprise,” said one Bernie Sanders supporter, in a jest that was still alarming. A former State Senator and mentor of mine, Leon Drolet, defended Uber recently. Laborers who dug with shovels for a living used to protest the advent of cranes, he wrote. Innovation by free enterprise has threatened industry after industry in the long story of American lobbying that stretches from end to end of the Transcontinental Railway, as explained by John Chamberlain in The Morality of Free Enterprise. If we do not reconcile the globalization of a new world picture with conservatism, then the United States might well follow in the way of European liberalism. Democracy will become far removed from the individual and become trapped in a bureaucracy on Capitol Hill. Our college campuses will compromise truth for political correctness and social identity politics. To the traditionalist conservative, I will say that government must be decentralized so that democracy might return to the grassroots. What the individual can do the individual must do for himself. What the individual cannot do the family must do for him. What the family cannot do the church must do for it, then the school, then the county, then the state, and if all else fails then the federal government must intervene. American democracy belongs in the town hall, not on Capitol Hill. Let America be a land of narratives – it ought to be. But let us maintain our tradition in our own families and churches, for only then will they stay true, even if all around us things are becoming strange. And to the classical liberal, I will say, let us remember where we come from. The world moves too fast to hold the yoke of modernity, to ever beget again the beautiful traditions that evolved and ripened over ages of natural change and migration. Will the world move so fast that we will forget where we came from? In my years in Ann Arbor, my assumptions have been shattered and rebuilt and shattered again. I do not know whether I believe in God, but I feel that Natural Rights were not invented by men. I do not know whether there is any purpose to history, but I feel that America really is the City Upon the Hill. The French Enlightenment theologian Malechambre produced the iconic claim that in every moment, the entire world is destroyed and recreated by God. We return to Him at every moment of this Grand Day, this Anno Domini, and the sense we have of this human element is a sense of His very breath in our beings. If there is any meaning to be found in the new age of the world picture, it is in understanding that the Truths that were enshrined in our Constitution do not sway with the hour, that they are as Divine as the breath of God in our beings.